Discover the best of Tuscany on this full-day private shore excursion from Livorno. Drive through the beautiful Tuscan countryside to reach the Renaissance city of Florence. 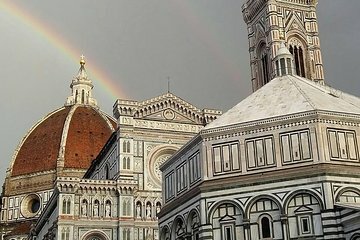 See key landmarks such as Piazzale Michelangelo, Ponte Vecchio, and the famous Duomo Cathedral. Then, head to the town of Pisa to see the Field of Miracles, the cathedral, and, of course, the famous Leaning Tower before making your way back to Livorno.